I was overjoyed when after months of asking several Pao Bhaji vendors; ‘How do they make their Pao Bhaji so special?’ one kind, old man finally revealed the Secret of the Rasta Pao Bhaji. You will not believe what that secret is. It is the most obvious ingredient and yet, you and I have never thought of it. It is the Pao Bhaji Masala. 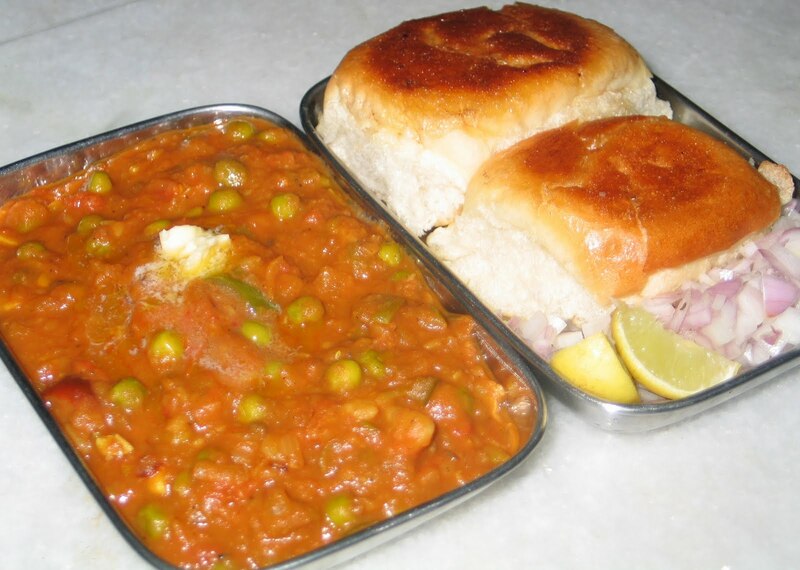 We conveniently buy branded Pao Bhaji Masalas never thinking why it does not turn out the same as the Rasta style Bhaji. So, today I am going to make Pao bhaji without the branded Pao Bhaji Masala, Rasta-style. Roast all the spices listed under the spice mixture ingredients and grind them into a dry powder. A little water may be added to aid in mixing well. Heat oil in a pan and add in garlic, ginger, onions and stir, allow it to turn golden brown. Once the onion is golden brown add in the chopped french beans and allow it to cook on medium heat for three to four minutes, until it changes colour and is partially cooked. Now, add in the chopped tomatoes and stir, allow it to cook for five minutes on medium heat until the tomatoes are squishy and cooked. Stir in the capsicum and the green peas and allow it to cook for two minutes on medium heat. Add turmeric, the Pao Bhaji Spice mixture that was roasted and ground earlier, red chilli powder, dried mango powder and stir. Add the tomato puree, stir and cook for five minutes on medium heat until the tomato puree is fully cooked and the raw tomato flavour is completely gone. Add in salt and potatoes and stir them into the mixture. With the help of a round spoon or pao bhaji masher, mash the entire mixture to mix it well and get a uniform consistency. Serve hot with lots of butter, chopped onion, lime wedges and toasted pao with butter. Enjoy!